Nau is an amazing, environmentally conscious clothing company (produced responsibly and committed to sharing a percentage of each sale with different charities that you can choose from at checkout) that makes clothes for active people. I hesitate to call it activewear because it's so vastly different than the tracksuits and windbreakers that come to mind when you hear that term. 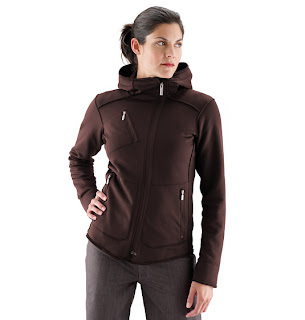 Nau clothing for both men and women is sleek and urban in styling, even the items that are meant to be out in the elements. 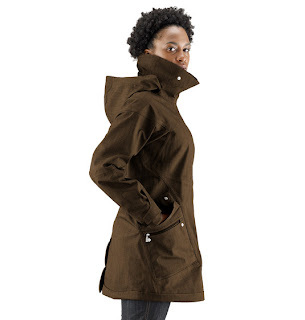 My favorites are the recycled, recyclable outerwear which is water resistant, windproof, and warm without being bulky. I was lucky enough to win a Profile Fleece Hoody in one of their regular email newsletter contests at the start of the cold season and I don't think I have taken it off since! It is that cozy and comfortable. 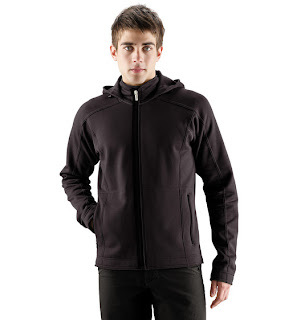 I like it so much, in fact, that I ordered one of the Men's Profile Fleece Hoodies for Bob! Nau is having a secret subscriber sale that ends on February 1st, which gives you not only 40% off their normal retail price, but sale items are 60% off with the code OTGSPECIAL. Their prices are a bit higher than I usually like to spend but this brings them down to a relatively affordable level. (Sustainable, responsible options cost money, people!) Since I have been so thrilled with my Profile Fleece Hoody, I decided to get a longer coat option. 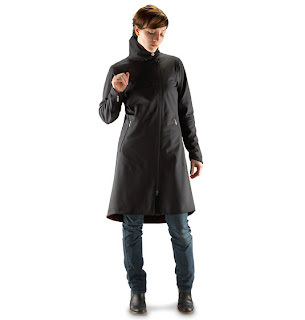 I really love the Modus Trench, which I think would look great on the back of a Vespa (not that I happen to have one), but I decided to go with the dressier Shroud of Purrin Trench since I've been lusting after it for about a year now. Did I make the right choice? I like the company but not the prices. I like the jacket you choose best of those listed. Well done.